Explore vibrant organic worlds in orbit between the earth and the moon. Compete with other beings as part of an ecosystem powered by collecting spheres of energy that tumble in from space. Travel with total freedom through a continuous game world that never removes control from the player. Crafted elements interact with dynamic systems to creates a unique emergent experience for each player. Shifting seasons and weather conditions create an ever changing environment to explore. You will never reach a forced objective or fail state in Spheres so the experience is created by what you do, where you go and what happens when you get there. 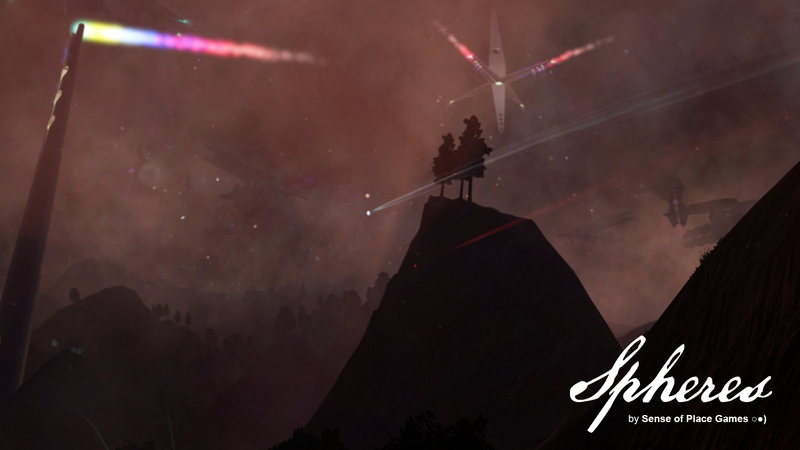 Sense of Place Games is a one man indie developer based in the 100 foot tall gum forests of Victoria, Australia. Development is ongoing so if you have feedback use the comments section below or visit senseofplacegames.com/support. Independent game world that ebbs and flows at its own pace constantly creating new gameplay opportunities. Everything in the game reacts to the changing world around it based on the behaviour of the player and other beings, the geography, the weather and the time of day. 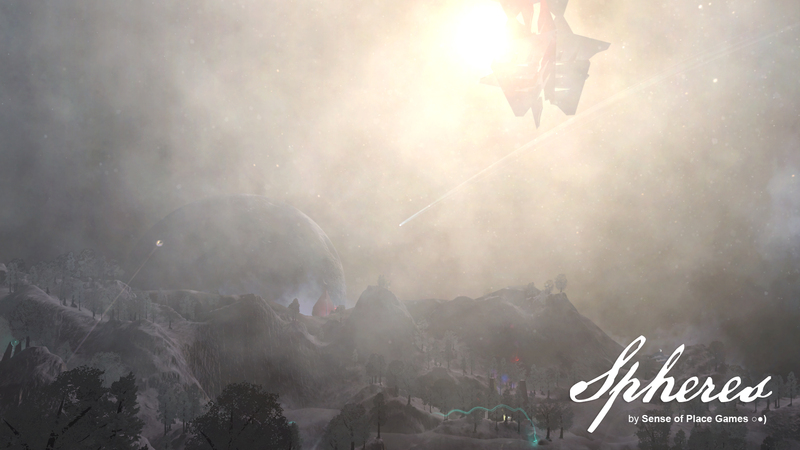 The player travels through the world building up an ever greater freedom of movement to explore. Everything in the game world has its own physical presence so anything you see can be travelled to and interacted with. Seamlessly journey though day and night in vast landscapes and the spaces in between to forge your own unique experience. Ever changing seasons, mists, winds and weather create constantly varying conditions for your adventure. A truly open world where every direction leads to new discoveries. I'm very excited to share the news that the preview demo Spheres: One Day In The Mountains is available to play now! This preview demo drops the player into a mountainous region within the game and let's you explore for one in-game day. Each new play through takes place over a single day picked at a random time of year within the ever changing seasonal cycle. 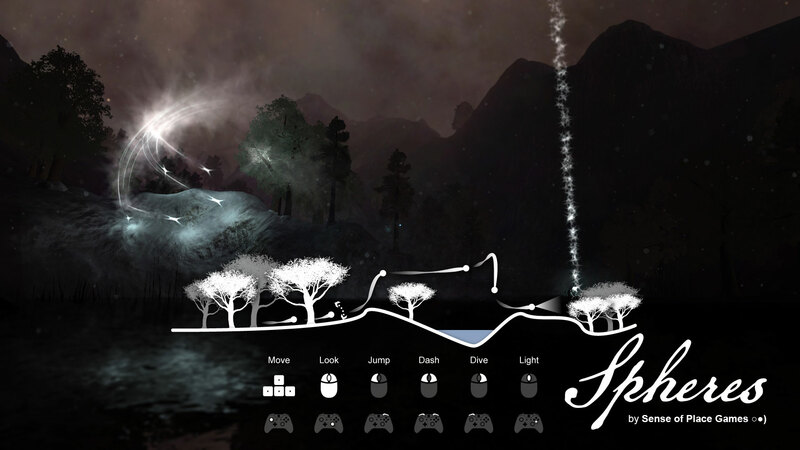 All of the gameplay in Spheres is generated on-the-fly. 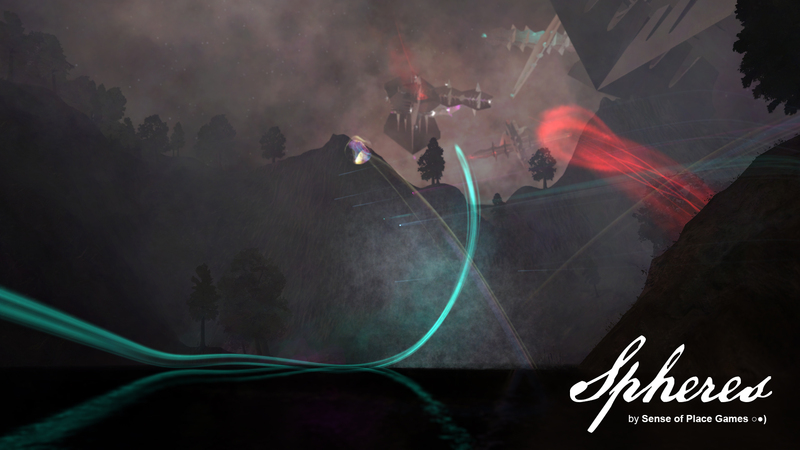 The game is based on physics interactions between the player, the creature AI and the game-world around them to create a unique experience every time Spheres is played. I hope you enjoy Spheres and thank you for taking the time! The game is still very much work-in-progress so if you have feedback I would love to hear from you. Leave a comment or visit senseofplacegames.com/support and help me make a better game! In the preview demo, exploration is limited to the surface of the mountains area of the game and the demo ends at dawn on the second day. In the full game the players journey moves seamlessly through the whole game world as the weather and season change around them. Please feel free to get in touch or to share your experiences with Spheres! You can grab screenshots by hitting 'Shift' (Keyboard) or 'Y Button' (Gamepad) - they are saved in the Pictures folder of your Windows user profile. Your interest and feedback is greatly appreciated. Visit senseofplacegames.com/support or leave a comment here if you have anything you would like to share. I will be adding Spheres to Steam Greenlight soon. Keep up-to-date with that and other development news by signing up for my occasional newsletter at senseofplacegames.com or following me on twitter. After over a year in development Spheres by Sense of Place Games has a new official trailer! 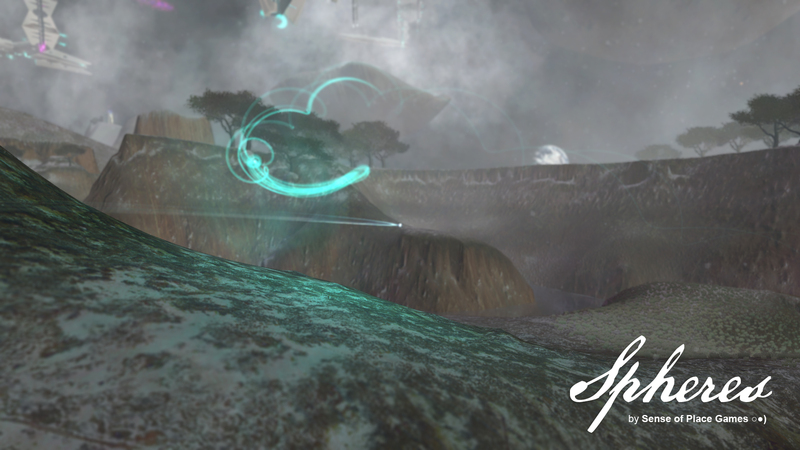 Indie Game Magazine preview of Spheres by Sense of Place Games is out now! Indie Game Magazine had done a great preview of in development open world explore 'em up Spheres by Sense of Place Games. It looks very pretty and it looks like you've put a unique twist on the survival sandbox genre (At least I think it's survival sandbox o.o). Tracking. Thanks Templarfreak:) The gameplay is more about building up a sense movement and discovery than survival, but it's definitely some kind of sandbox! I don't know what it is - but it's cool. I'm delighted you think so Thaiauxn, thanks!